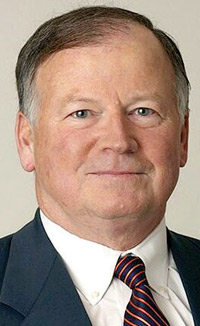 Kidder: "No 'business as usual'"
DETROIT -- Chrysler Group's top priority is to create a compelling brand and product offering, Chairman Bob Kidder said during Chrysler's five-year plan presentation on Wednesday. Kidder and his fellow board members joined Chrysler's board because they believed the problems that led to Chrysler's bankruptcy can be solved, he said. “Five months and several board meetings later, the board's confidence that Chrysler will re-emerge as a strong competitor in the auto market is considerably stronger,” Kidder said during Chrysler's presentation of its five-year plan today. In addition to revamping product, Chrysler will manage its supply chain according to customer demand and production, “a significant departure from past practice,” Kidder said. Chrysler intends to repay the loans it received from the U.S. and Canadian governments “with all deliberate speed,” Kidder said. Kidder, a private-equity investor and former consultant who once did work for Ford Motor Co., was appointed to his position by the U.S. government after it sponsored Chrysler's June exit from bankruptcy. Kidder, who was also the CEO of battery maker Duracell, serves as the lead director of Morgan Stanley and a board member at Schering-Plough Corp.